A friend gave me an old (but working) ALIX 2d13 board. Since my SOHO router was about to die (wifi keeps disconnecting and unstable throughput on the LTE band) I decided to give it a second life as router. After a short internet research it was clear that the board itself is not the newest any more and it also does not have LTE or WIFI by default. So searched around a little and I found that I have an old broadcom wifi card with a bcm94318 chipset from an old laptop and an unbranded ZTE MF831 LTE Stick which can be used as LTE modem. I decided to use OpenWRT as routing software, because it supports all the given hardware. The next few paragraphs describe how to set up OpenWRT on an ALIX board and which packages have to be installed in order to support the given hardware. Put the CF Card onto the board, Plug a network cable into the right-most port (ETH0) and wait ... you will get an IP address. Mine was 192.168.1.191. Set a new password, a hostname and your timezone and your are done. 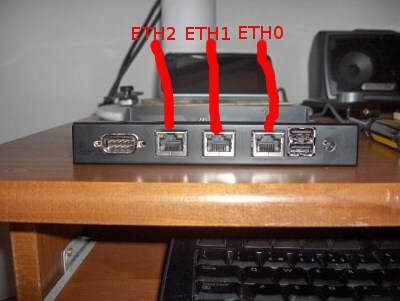 The router has to be connected to an existing internet connection on ETH1. (ETH1 is by default configured as WAN port and waits for an IP address to be assigned) Otherwise you are not able to install new software. Reboot and create an AccessPoint where the users can connect to. This one is a bit tricky: This modem does not show up in serial mode by default. It tries to emulate an ethernet card which makes sense for the standard usecase on a pc. According to the internet there is no real need to change that, but if you want to access some services from outside then things tend to get complicated because then you have to deal with double-NAT scenarios and so on. So the easiest solution is to to follow the suggestions in this thread how to switch the modem permanently into the serial mode. This switches the modem permanently into the desired serial mode, which is used by OpenWRT. After a reboot we should have a router with wifi and LTE capabilities. If you want to host services within your network which should be accessible from the outside then it is a good idea to install a dynamic dns client. I am using noip as ddns provider. Install the following packages: ddns-scripts_no-ip_com, luci-app-ddns and configure the service as needed.